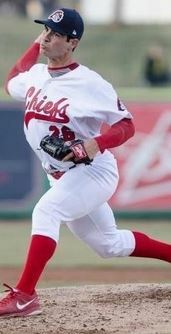 St. Louis Cardinals prospect, Kurt Heyer, is a 6’2″ right-handed pitcher from Huntington Beach, California. Heyer made 55 starts in college at the University of Arizona and was a key component to the team winning the College World Series in 2012. That season, he won 13 games for the Wildcats–tying the school record for wins in a single season. Based on his performance, he was named Pac-12 First Team and second-team All-America. 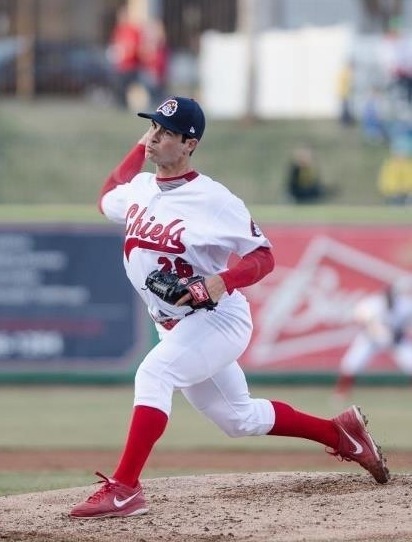 With the Cardinals organization stressing the importance of pitching depth throughout its farm system, Heyer was taken in the sixth round of the 2012 MLB draft. He is represented by the Beverly Hills Sports Council–an esteemed baseball agency founded in 1984. The BHS Council also represents other Cardinals prospects, most notably Jordan Swagerty. The agency represents top players like Hunter Pence (San Francisco Giants) and Jason Kipnis (Cleveland Indians) as well. 2012: Due to his participation in the College World Series, he was only able to complete 6 innings after being drafted. In those 6 innings, he allowed 3 runs, but was able to record 9 strikeouts without walking a single batter–a solid start to his professional career. 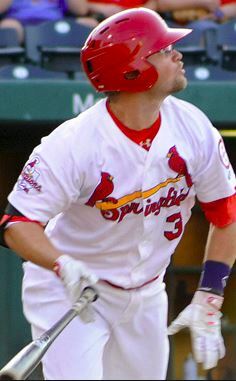 2013: In 13 games started between the Peoria Chiefs (Class A) and the Palm Beach Cardinals (Class A-Advanced), Heyer has a 4-4 record with a 4.57 earned-run average. He has 65 innings pitched with 50 strikeouts and just 20 walks. 1. Fastball: 88-92 MPH with excellent sinking and tailing action. 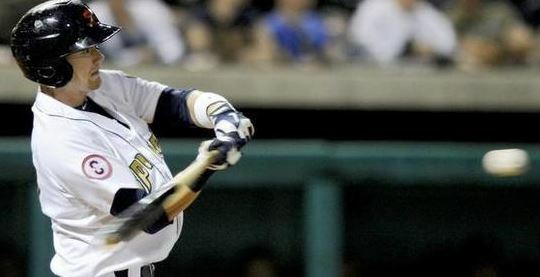 He is able to spot this on the corners and locate it low in the strike zone–leading to numerous ground balls. 2. Slider: 77-78 MPH that comes towards the plate in a right-to-left fashion. At times, it curves almost like he is flinging a frisbee towards the plate, especially when he drops his throwing angle. 3. Changeup: 75-77 MPH. This pitch, as you will see in the interview, is still under development. In college, he relied more on his fastball and breaking pitches, but in order to be successful at the professional level, he will have to continue to fine-tune this pitch. It has the capability of being a plus pitch for him because he uses the same release point as his fastball. 4. Curveball: It has a 1 to 7 break (if looking at the hands on a clock) and sits at 75-77 MPH. At times, this can be seen as his go-to pitch. Heyer has a relatively herky-jerky, deceptive motion where he hides the ball behind his body until just before he releases it. He drops his arm motion to three-quarters or less which adds to the deception and helps with the movement on his pitches–especially the tailing action of his fastball/sinker. He is especially known for his exceptional work ethic who just loves competition. He knows how to win–as shown by his CWS championship last season. He attacks hitters on a regular basis. For now, Heyer has only been used as a starter, but some scouts see his future as a relief pitcher. Based on the organization’s needs in the future, he may be a starter or play a key role in the Cardinals’ bullpen in the years to come. Me: What was it like winning a National Championship at Arizona? Heyer: It was crazy. Words couldn’t express what I was feeling at that moment. Not everyone gets the chance to dog-pile at the biggest stage in college baseball. Me: How was the transition from college ball to pro ball in the same season? Heyer: It wasn’t hard. Nothing has really changed, just wood bats. Me: What was it like playing with a college teammate, Alex Meija, on your first professional team? Heyer: It was awesome having him behind me again. He is a great teammate to have behind you when you are playing. Me: What were your first thoughts when you found out you were being drafted by the Cardinals? Heyer: I was excited because I knew they do a great job on developing pitchers. They are a world-class organization. Me: Almost every pitcher has an out pitch, what your out pitch in your repertoire? Heyer: Depends on the day, but it could be my slider or curve or even my fastball. Me: What is one thing you feel you need to develop the most to keep moving up the ladder towards the big leagues? Heyer: I would like to get more consistency in the change because I have never felt the need to throw one. Me: What current player in the big leagues do you think your pitching style resembles the most? Heyer: Roy Halladay because he does such a great job mixing speeds and locating his pitches and doesn’t rely just on velocity. Me: What has been your favorite moment of professional baseball so far? Heyer: Just suiting up everyday and just playing the game I love. I’m so blessed to being able to have a job that I have a passion for and I hope I can continue doing it. Make sure to follow him on Twitter at @KurtHeyer. You can also give his agency a follow at @BHSCouncil. They both put out great stuff.